Ideally located within close proximity to Perth central city, Central Caravan Park is a friendly home during your stay in Perth. Only a ten minute drive to the hustle and bustle of the city with quality shopping, restaurants and nightlife at your fingertips. Located within walking distance to major bus routes to Perth city and the Swan Valley, Central Caravan Park offers guests the opportunity to enjoy the best of both worlds. Nestled on the banks of the Swan River, Central Caravan Park provides guests an opportunity to enjoy walks, fishing and boating on our famous river. There are fabulous cycle paths that run along the river, why not feed the ducks and enjoy a picnic lunch? Our park offers you fantastic facilities catering for all of your holiday needs. From our camp kitchen, free barbeques and powered sites through to our one and two bedroom cabins. Surrounded by shady gum trees, Central Carvan Park provides you with the opportunity to unwind and relax. With both the domestic and international airports, located only minutes away, it is a convenient location to stay while you are in Perth. 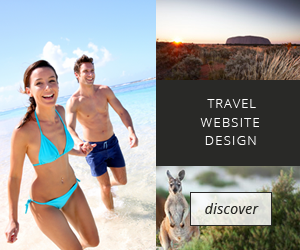 We are experts in assisting with planning your holiday from locating you a vehicle or suggesting a self drive itinerary through our magnificent state, Western Australia. A family owned and operated business, we pride ourselves on our friendly and efficient service. Come and stay with us and see the difference in our service, cleanliness and personal attention to our customer’s needs. For more information please view our website www.perthcentral.com or phone us on 08 9227 1704. One double bedroom fully self contained with ensuite, full kitchen facilties with stove,fridge,microwave,cutlery,lounge with television,air conditioning,heating,all linen is included. Two bedroom fully self contained with ensuite, full kitchen facilities including stove,fridge,microwave,crockery and cutlery,lounge with television, dining room, air conditioning, all linen is included. Tent site only cater for backpacker two man tent, no power or car parking available. Discover some of the other accommodation nearby in Perth. Experience some of the tours options around Perth.